Whether it was calling a Viet Nam war prisoner who was tortured while in capture, "not a hero." Whether it was saying he admires those soldiers who didn't get captured more than those who got captured and tortured. Whether it was saying Megyn Kelly had blood running out of her eyes and running out of her whatever. Whether it was Re-Tweeting a tweet calling Megyn Kelly a "bimbo." Whether it was attacking George W Bush, saying he didn't have the IQ to be president or blaming George W Bush for problems we now have in the Middle East, a la Barack Obama, Hillary Clinton and the other demagogic liberal Democrats. 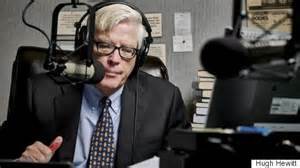 Whether it was calling one of the most intelligent talk show radio hosts going, "a third rate announcer. Whether it was calling a brilliant renowned John Hopkins neurosurgeon, the first man to successfully separate twins conjoined at the head, a man awarded the Presidential Medal of Freedom by President George W. Bush, an "okay doctor." Whether it was saying that same "okay doctor" could not create jobs because he only hired "a nurse or maybe two". Whether it was saying about one of the leading presidential candidates on the GOP side, a female, "look at that face...who could vote for a face like that?" 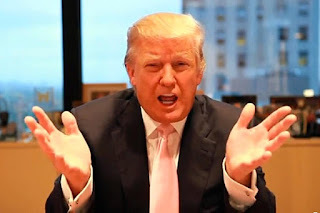 Those are just a few of the reasons my previous post of "Donald Trump Is A Jerk" and a post I first published in the 2008 election, "Donald Trump - The Seminar Candidate" were so prescient and accurate and I believe justifies the harsh terminology I deemed on Donald Trump in those posts. Some of you may criticize me for using similar outrageous comments about Trump that I am criticizing him for, but there is one big difference. I am not a candidate for president, and I would question anyone who wanted to vote for me for president. Those statements I am making are not presidential and neither are Trump's. I know for some of you, Senator Marco Rubio may not be your candidate and many of you don't want him to win the nomination, but to call him a "clown." Really? Please don't try and defend that. What was Trump trying to do there, prove the old adage that "it takes one to know one"? Donald Trump, there is only one clown act in this GOP presidential race and it certainly isn't Senator Marco Rubio. And that clown act is wearing thin, Donald Trump.